As I neared the bottom of a steep muddy trail leading to the base of Wailua Falls a thunderous roar of the waterfall filled the air. The gigantic waterfall forces water down a 115 feet drop creating a thick misty breeze circulating through on the base of the falls. 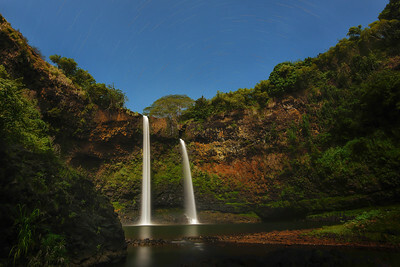 It's hard to believe that Hawaiian men would jump from the top of the falls to prove their manhood. 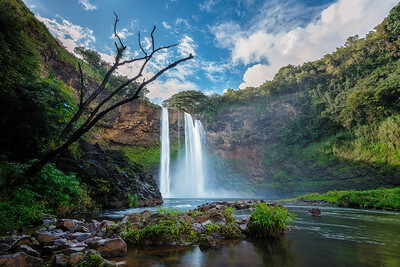 If you look closely at this picture you will see the man standing at the top of the fall just to the left between the trees. I normally don't include people in my photography but I thought this would give some perspective on the size of Wailua Falls. The setting sun radiates off of Iao Needle (Kūkaemoku), a famous Hawaiian landmark. 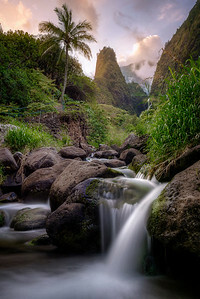 I’ve been to this exact spot many times to photograph Iao Needle, on this day the water levels were higher than normal. The water was high enough to completely blanket the large bolder in the foreground. 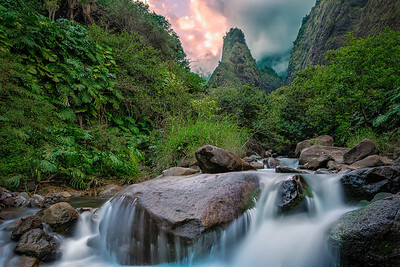 As the sun began to fade behind the West Maui Mountains I was able to slow the shutter speed of my camera and capture an image with smooth flowing water with the majestic Iao Needle in the background. 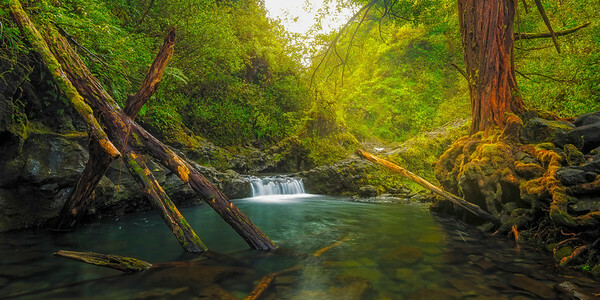 Early morning at a secluded waterfall found halfway to Hana. On this early fall morning in the Colombia River Gorge a dense layer fog of filled the air. 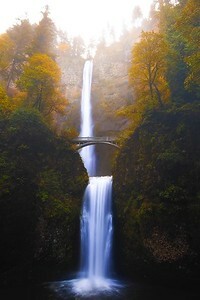 As I set my camera up I was very worried that the fog was too thick to get a good shot of Multnomah Falls. 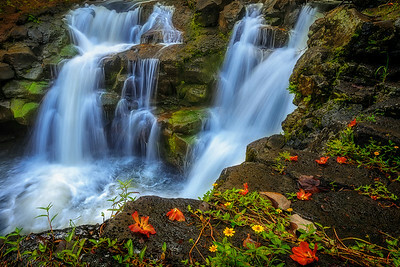 After a few minutes the fog cleared just long enough to expose the amazing fall colors around the towering waterfall. This turned out to be one of my favorite pictures from my trip to the Pacific Northwest. 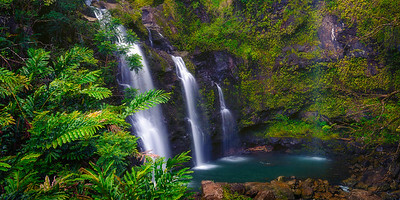 Ho'opi'i Falls is an amazing location on the island of Kauai. 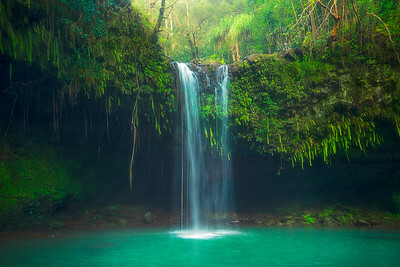 A sense of calmness and relaxation filled me as I photographed this waterfall. I spent a few hours just capturing different perspectives of the flowing water. This was my favorite shot of the day. 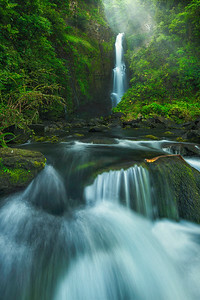 I love how the flowers fill the foreground as the crisp waters of Kapaa Stream cascade over the rocks. The setting sun illuminates Iao Needle (Kūkaemoku), a cherished landmark on the island of Maui. 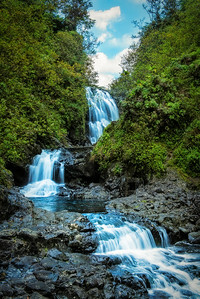 Early morning at the Waikani Falls on the road to Hana. 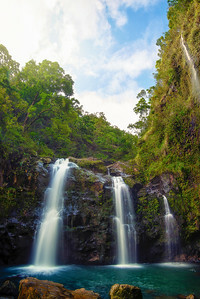 The morning sunlight reflects off of the top of Wailua Falls along the Hana Highway.